Third food post in a row dafug.. 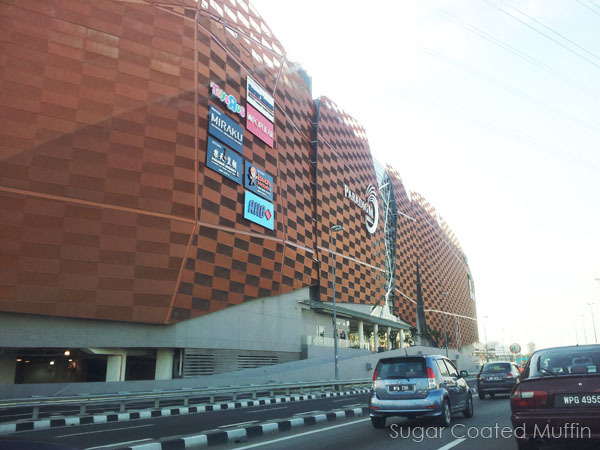 This time we headed to Paradigm Mall aka Magic Mall. Lunch at Pasta Zanmai again. I ate here previously with my sister. I don't recall the exact name and price but it's below RM 20. 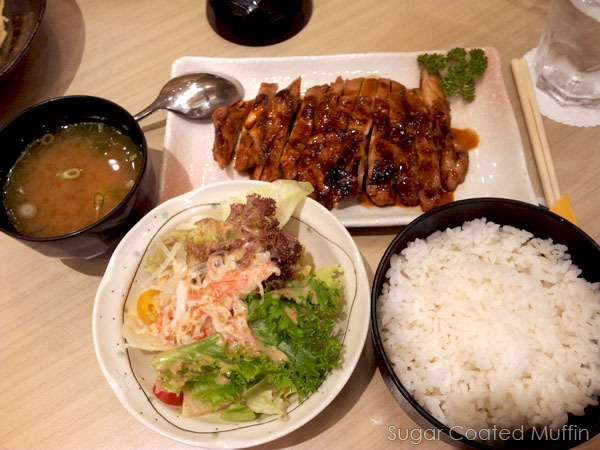 It's a chicken teriyaki set with miso soup and salad. The rice is the short and fat kind (Japanese) so yum! Chicken teriyaki was very well cooked, with abundant taste while the meat was still juicy and tender. Miso soup's full of taste but there wasn't much inside, just soup. Salad was very good with the sauce and sesame seeds. I managed to finish everything except for the rice. Saw Snowflake and I had to satisfy my craving for their taro balls!! Wasn't such a good idea after all since Paradigm Mall was REALLY cold. Dived for their bestseller immediately. 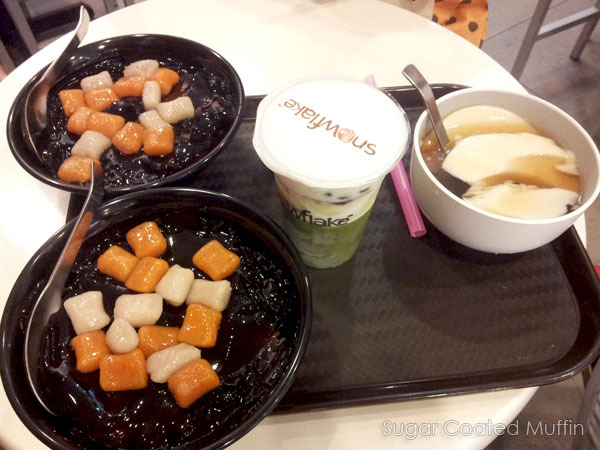 Chewy taro balls on a blanket of grass jelly over sweet cincau ice. You can choose to mix them or have them individually to enjoy their original taste. Strangely, I didn't notice the cincau ice before this. Previously, I recall that it was just plain ice at the Kota Damansara branch. This cincau ice is soooo much better! The taro balls were full of yam taste too with the right amount of 'bounce'. 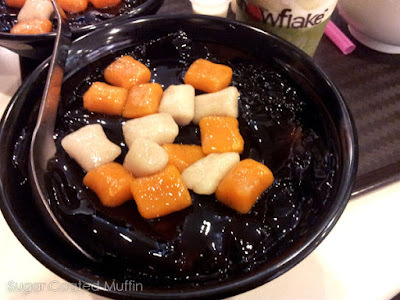 The grass jelly added some sweet and cool flavour as well. Us! Snowflake again next time you come back, Jingyi! Oh man if I lived where you do I'd eat so much! (: Everything looks delicious. Thanks for always sharing that with us!